Here are some photographs of Second Word War-era warbirds at the American Airpower Museum in Famingdale, New York. 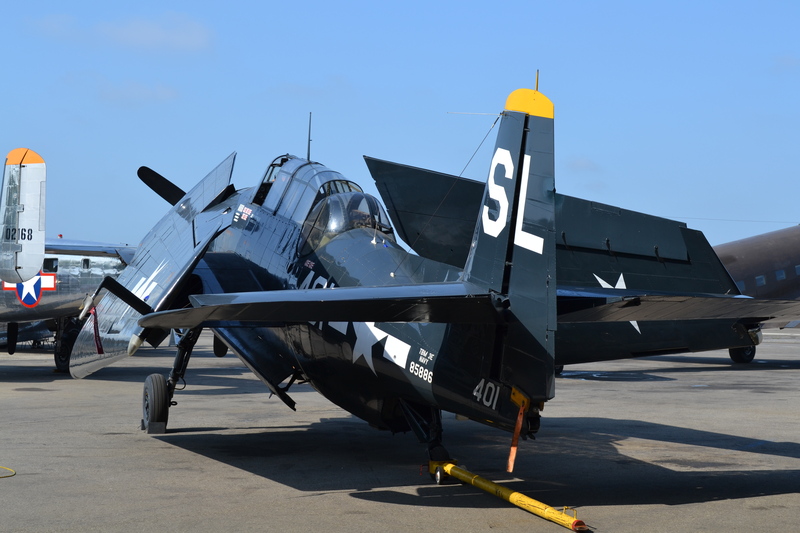 This is a Grumman TBF Avenger, a torpedo bomber used to great effect in the Pacific Theater. Its wings could fold to save space on an aircraft carrier. 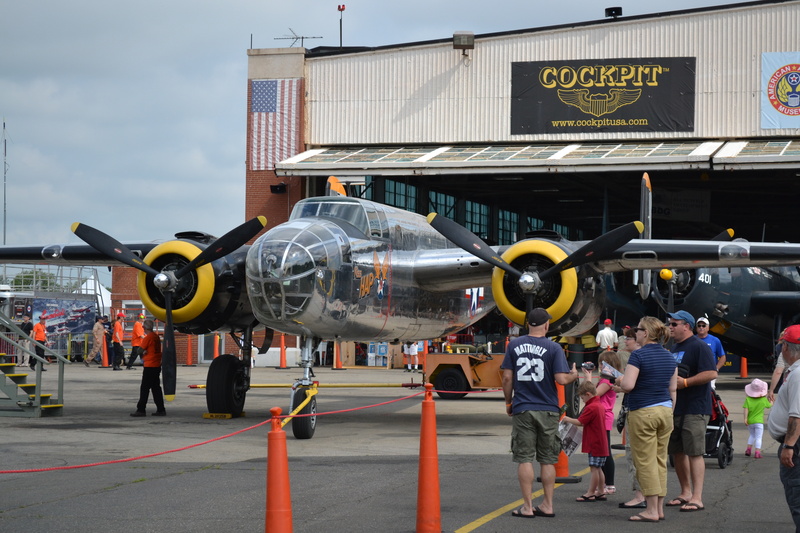 This is a North American B-25 Mitchell medium bomber. It was made famous for its role in the 1942 Doolittle Raid on Japan – Thirty Seconds over Tokyo. This particular machine was General Hap Arnold’s personal airplane. This is a Douglas C-47 Dakota. It is the military transport version of the legendary DC-3 airliner. 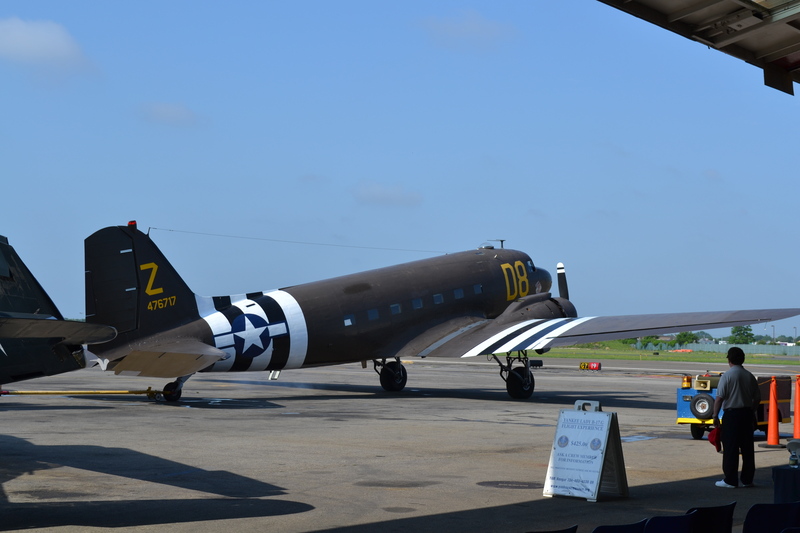 It is painted with D-Day invasion stripes, and looks as it would have when it carried American paratroopers to jump into Normandy in June 1944. All three photographs were taken with a Nikon D3100. This entry was posted in Aviation/Space Tech, History, Military History, Military/War, Photography, Technology. Bookmark the permalink.